Artificial sweetener, Splenda, can modify how the body handles sugar and could lead to diabetes, according to a new study. 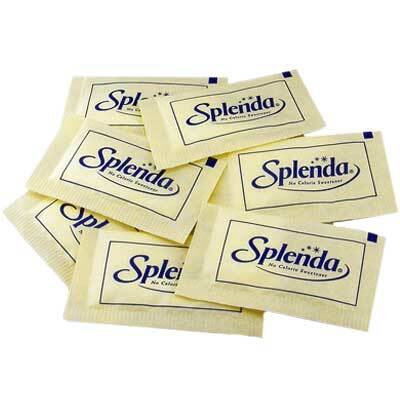 Splenda is the commercial name and registered trade mark of a sucralose-based artificial sweetener derived from sugar, owned by the British company Tate & Lyle and American company Johnson & Johnson. Sucralose was discovered by Tate & Lyle and researchers at Queen Elizabeth College, University of London, in 1976. Tate & Lyle subsequently developed sucralose-based Splenda products in partnership with Johnson & Johnson subsidiary McNeil Nutritionals LLC. It took 22 years before its approval by the United States government in 1998. Since its introduction in the US in 1999, sucralose has gained a 62% market share of the artificial sweetener market. According to market research firm IRI, Splenda sales in the US were $212 million in 2006. Scientists found that consuming the sugar alternative made of sucralose caused a person’s sugar levels to peak at a higher level and in turn increase the amount of insulin a person produced. Researchers said that while they did not fully understand the implications of the findings, they might suggest that Splenda could raise the risk of diabetes. ‘Our results indicate that this artificial sweetener is not inert – it does have an effect,’ said Yanina Pepino, research assistant professor of medicine at the Washington School of Medicine in St. Louis, who led the study. Sucralose is made from sugar, but once processed its chemical make up is very different. Gram for gram it is 600 times sweeter than table sugar. The scientists analysed the effects of Splenda in 17 severely obese people who did not have diabetes and did not use artificial sweeteners regularly. Participants had an average body mass index of just over 42. A person is considered obese when their BMI reaches 30. Scientists gave subjects either water or dissolved sucralose to drink before they consumed glucose (sugar). They wanted to understand whether the combination of sucralose and glucose would affect insulin and blood sugar levels. 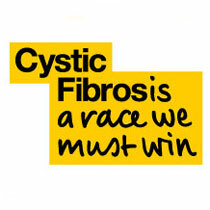 Every participant was tested twice. Those who drank water followed by glucose in one visit drank sucralose followed by glucose in the next. In this way, each person served as his or her own control group. ‘We wanted to study [overweight people] because these sweeteners frequently are recommended to them as a way to make their diets healthier by limiting calorie intake,’ Pepino said. They found that when study participants drank sucralose, their blood sugar peaked at a higher level than when they drank only water before consuming glucose. Insulin levels also rose about 20 percent higher. So despite no extra sugar being consumed, the artificial sweetener was related to an enhanced blood insulin and glucose response. Professor Yanina explained that they do not fully understand the implications that these rises could have. She said: ‘The elevated insulin response could be a good thing because it shows the person is able to make enough insulin to deal with spiking glucose levels. It has been thought that artificial sweeteners, such as sucralose, don’t have an effect on metabolism. They are used in such small quantities that they don’t increase calorie intake. Rather, the sweeteners react with receptors on the tongue to give people the sensation of tasting something sweet without the calories associated with natural sweeteners, such as table sugar. But recent findings in animal studies suggest that some sweeteners may be doing more than just making foods and drinks taste sweeter. One finding indicates that the gastrointestinal tract and the pancreas can detect sweet foods and drinks with receptors that are virtually identical to those in the mouth. That causes an increased release of hormones, such as insulin. Some animal studies also have found that when receptors in the gut are activated by artificial sweeteners, the absorption of glucose also increases. Professor Pepino added: ‘Most of the studies of artificial sweeteners have been conducted in healthy, lean individuals. In many of these studies, the artificial sweetener is given by itself. Just how sucralose influences glucose and insulin levels in people who are obese is still somewhat of a mystery. ‘Although we found that sucralose affects the glucose and insulin response to glucose ingestion, we don’t know the mechanism responsible,’ said Pepino. She said further studies are needed to learn more about the mechanism through which sucralose may influence glucose and insulin levels, as well as whether those changes are harmful. In a statement, Splenda said: ‘Numerous clinical studies in people with Type 1 and Type 2 diabetes and non-diabetic people have shown that Splenda Brand Sweetener (sucralose) does not affect blood glucose levels, insulin, or HbA1c. ‘FDA and other important safety and regulatory agencies from around the world have concluded that sucralose does not adversely affect glucose control, including in people with diabetes.